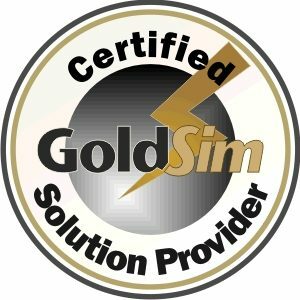 01/03/2019 – We are excited to announce that FYRA Engineering was recently added to GoldSim Technology Group’s list of Certified Solutions Providers. GoldSim is a probabilistic simulation tool for tracking stocks and flows of nearly any material (e.g. water, nutrients, population dynamics, cash flow, etc.). GoldSim provides a flexible and powerful simulation framework combined with a user-friendly visual interface to address integrated resource management problems, and is quickly becoming a go-to decision-making tool for water resource managers. GoldSim Certified Solution Providers have extensive experience applying GoldSim to complex problems and can provide consulting services to build GoldSim models to meet clients’ specific needs. Notable examples of FYRA’s capabilities include simulation of water and nutrient mass balance in natural and man-made lakes; evaluation of sediment dredging and containment/storage/dewatering operations; and cost-benefit analyses of nutrient removal practices and lake management strategies. Probability analysis and scenario management are key strengths of the GoldSim framework and FYRA’s modeling approach, which help decision makers better visualize and understand risk and uncertainty. With this certification, FYRA Engineering continues to focus on utilizing the latest technology to provide comprehensive and cost-effective solutions for an ever-changing world. Click here for more information about GoldSim.